Your vet may have advised you to restrict your dog to one room during recovery from an operation or injury. This can be a challenging time for dog owners, so please read on for further information. A quick summary of room rest is included on this page. For more detailed information, you can follow the clickable links, or use the menu on the right hand side of the page. Advice is also available for dogs going through crate rest. For social media discussion on the subjects of crate rest, room rest and recovery, you may be interested in the Recovery Space Dog Welfare Project page on Facebook, accessed by clicking here. Whether from dog owners, vets, nurses and physiotherapists, it is always good to hear your ideas and shared stories. Why does my dog need a recovery room? Walking on slick floors (this includes most wooden, laminate, tiled or linoleum floors unless they have a particularly grippy surface). Choose a room within which your dog will be unable to do any of the risky activities listed above. Set this up as a comfortable recovery room, being sure to include plenty of bedding, toys and your dog’s food and water. 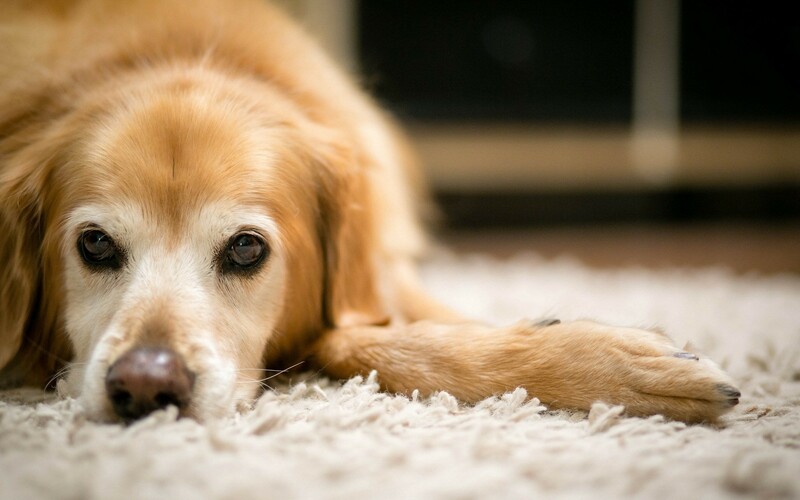 Your dog will need to be left in their recovery room whenever you are out, asleep or busy. 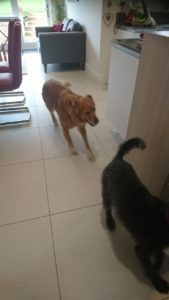 Whenever your dog leaves this room, they need to be on the lead or carried to prevent any rushing about. Dogs are creatures of habit, and they will instinctively move fast to jump onto an old favourite sofa, respond to a doorbell, or to play with another dog, even if their body is not yet strong enough to withstand this. Your dog will be in the recovery room for nearly 24 hours per day, perhaps for weeks at a time. This space will be your dog’s world for much of this time, so do take care to set it up comfortably. For tips on keeping your dog comfortable during the recovery period, please click here. The recovery room must be on one level and, unless you are going to lift your dog in and out, the room needs step-free access to the outdoor toilet area. Choose the room carefully: Your dog must not jump on furniture in the recovery room. Remove any armchairs, beds, sofas etc. if needed, or choose a different room. Your dog will settle down better if you choose a room in which they are already used to relaxing. If possible, get the recovery room ready ahead of time. This allows your dog to get used to their new situation gradually over a few days. Unless the recovery room is carpeted, cover its floor with non-slip matting. If needed, also put down non-slip runners to cover the route through the house to the outdoor toilet area. For safety, most recovering dogs must avoid running, jumping, stairs, ball play, rough play and slick floors. Check with your vet as to what your own dog is allowed to do. Choose hard-wearing chewable toys for your recovering dog. Food-dispensing toys such as filled Kongs® are particularly good as boredom-busters. 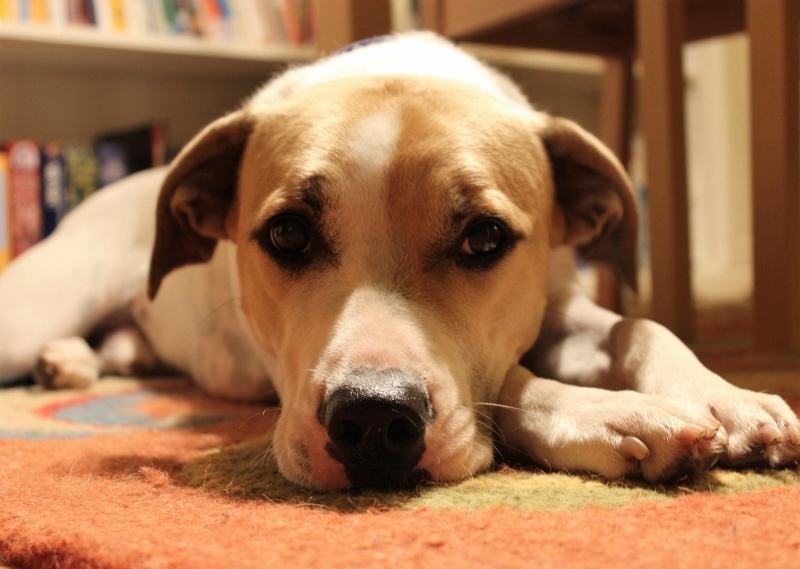 Make a regular daily routine for your recovering dog. This should include toilet breaks, feeding times, some quality time spent with you, and quiet times for rest. Reward your dog for good behaviour with praise and small food rewards. Avoid punishing your dog during recovery. Whenever outside the crate, pen or recovery room, your dog must be either carried, or on a lead. A harness is better than a collar during recovery. A harness with a Y-shaped front is best. You will also need a fixed-length lead (not an extendable lead). Keep your fingers tucked into the harness while sitting and relaxing with your dog outside the crate, pen or recovery room. Above: It’s healthy for dogs to stretch during recovery. The recovery room should give your dog enough space to stretch and to change position comfortably. Why does my dog need room rest?